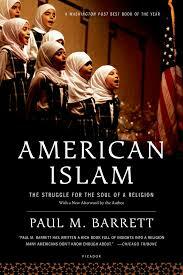 There are as many as six million Muslims living in the United States, and in American Islam, Paul M. Barrett takes us into their homes, mosques, and private gatherings, from West Virginia to Los Angeles, depicting a population of striking variety. In vivid, subtle, artful prose, Barrett tells seven stories of American Muslims in all their stereotype-defying complexity. Theirs is a dramatic new chapter in the American story, and American Islam is an intimate and vibrant group portrait of American Muslims today. How to use SNS nails? Why You Need a Robot Vacuum to Clean Your Tile Floor?